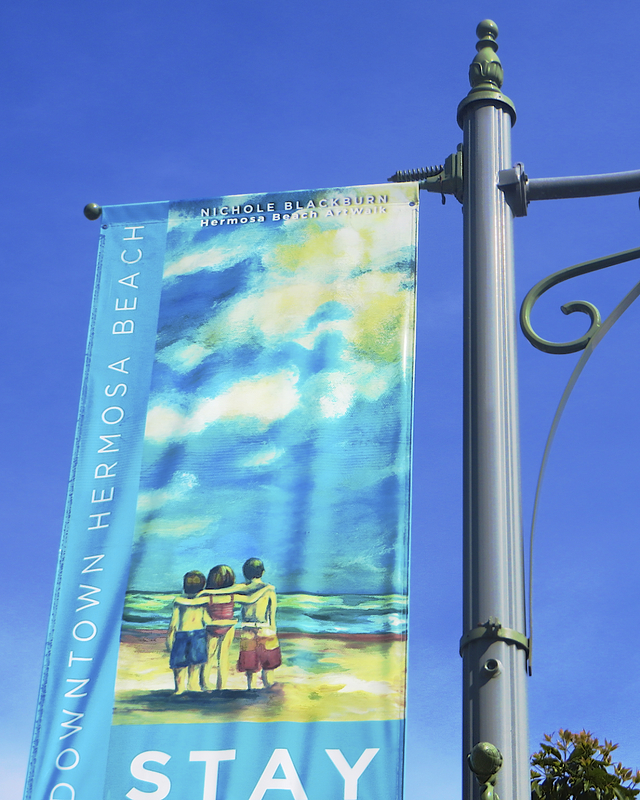 We visit Buenos Aires National Wildlife Refuge. 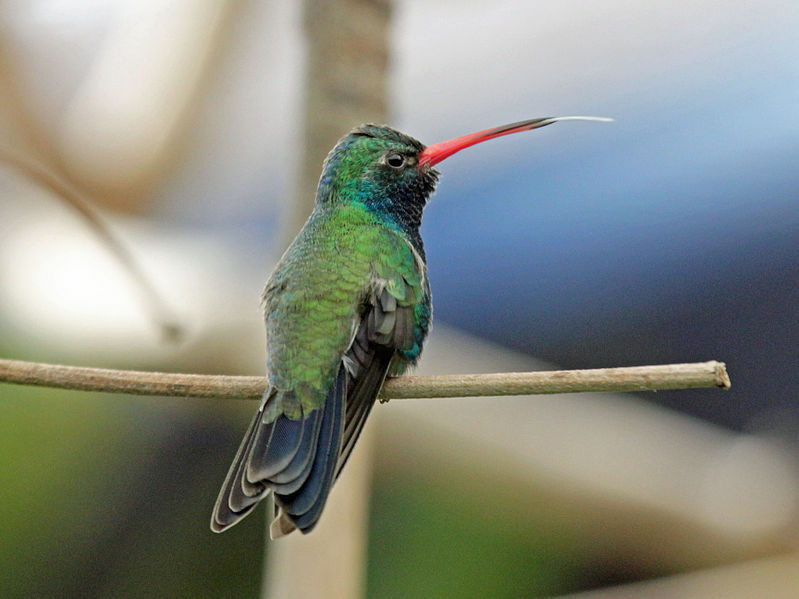 April’s a prime time to experience its vast bird diversity (over 330 species! 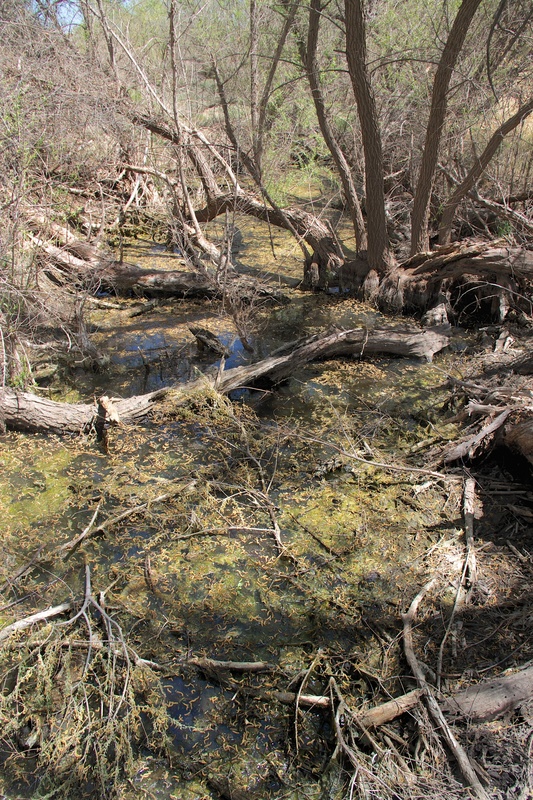 ), the result of: winter rains bringing surface water to its rare riparian habitats; its location on a spring migration flyway; and that the Wildlife Refuge represents the northernmost range of many sub-tropical birds. 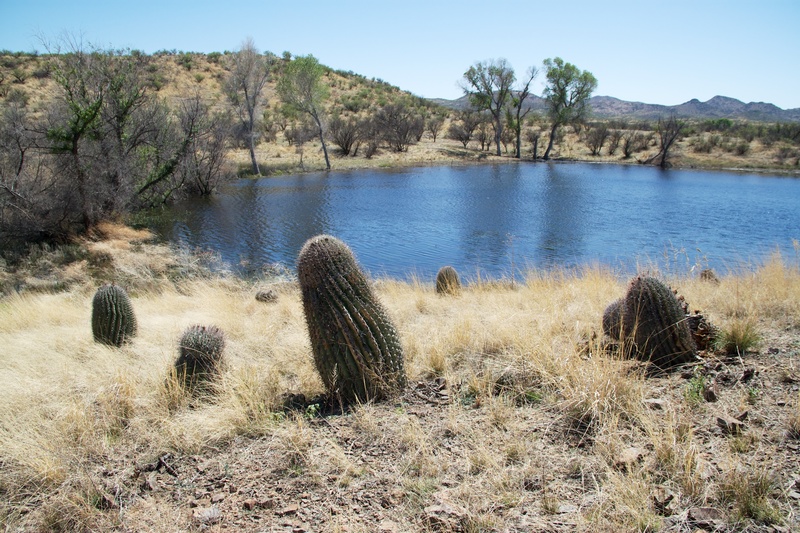 This combination brings the birds (and so birdwatchers from around the world) to this isolated piece of southwest Arizona. Leaving I-19 at Amado, we turn and head west just past a local icon, the Cow Palace restaurant. The route winds through dry grass rolling hills. It is a stunningly lonely trip with only a few ranch compounds visible down dirt side roads. The few vehicles we pass are mostly white, green and yellow Border Patrol trucks. 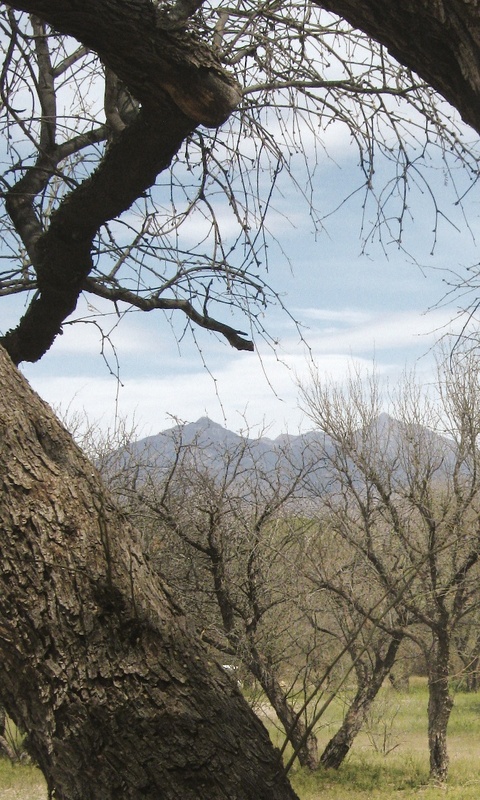 Few of the mesquite have leaves. At 58°, it still feels like winter and is,at once, both magnificent and forbidding. 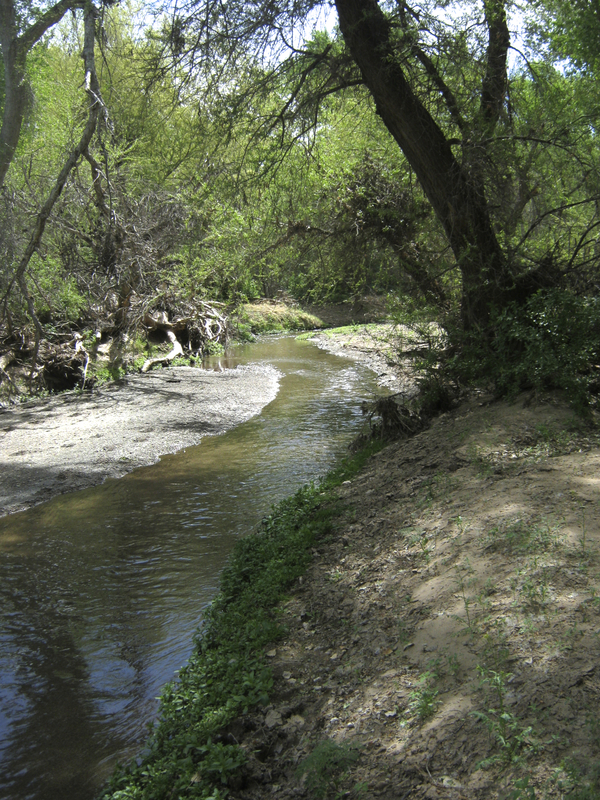 On its eastern edge, near the tiny town of Arivaca, Buenos Aires has two riparian trails. 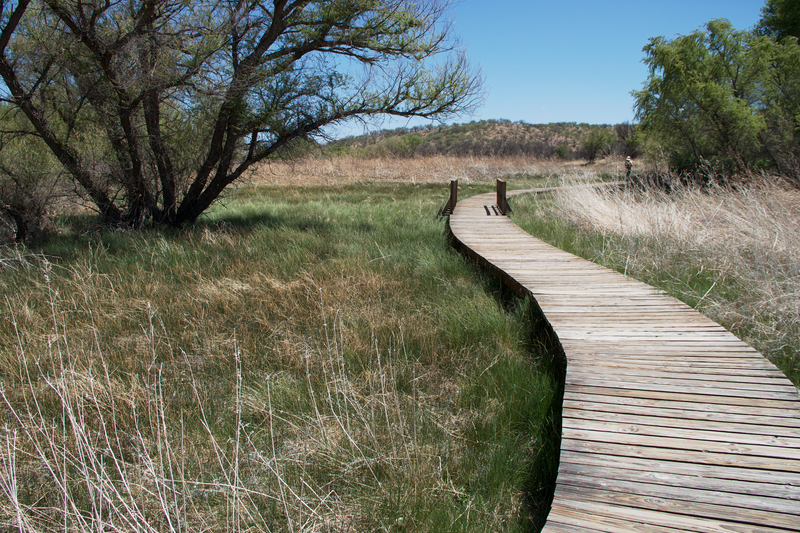 This day we tour the easternmost, the Arivaca Cienega Trail, a boardwalk and path that circle a cienega (wet meadows and a hidden spring) of tall cottonwoods, sycamores and willows and then leads to a desert surprise, a real pond! 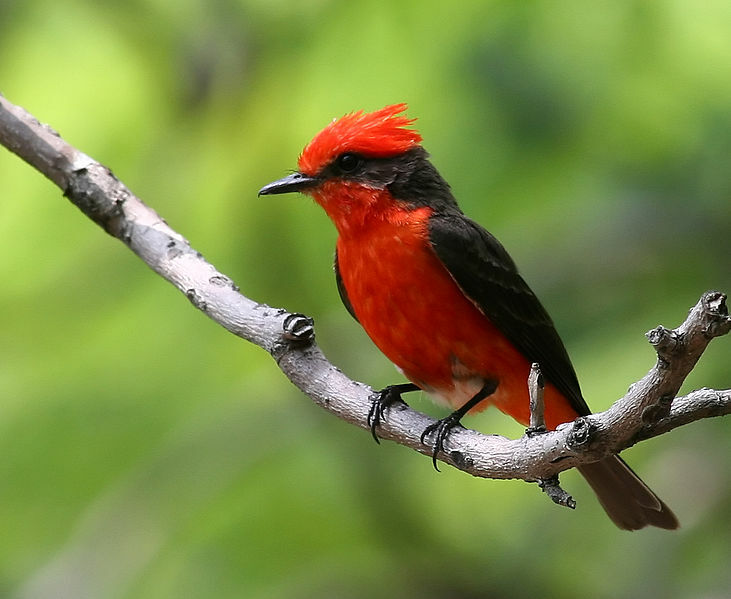 I spot a vermillion flycatcher, its iridescent red head stripe flashing. 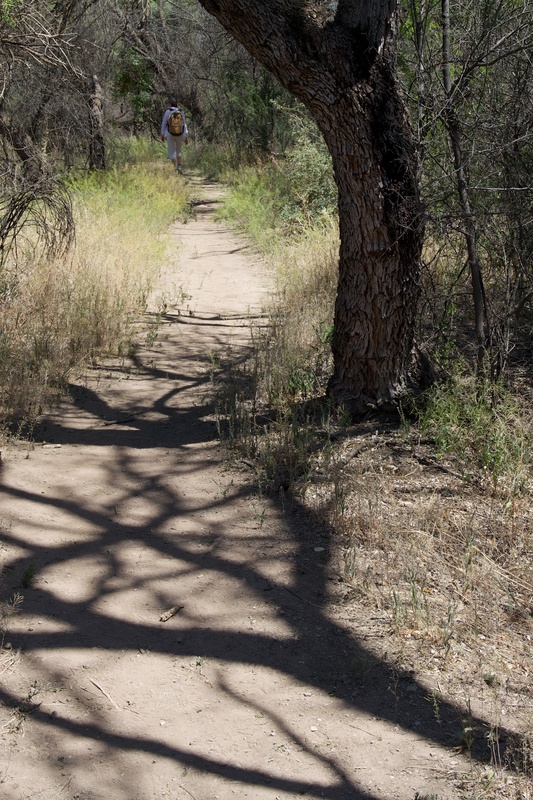 In a bare mesquite grove Stan discovers a tropical kingbird. On our following trip only 10 days later, the mesquites have leafed out. It’s also high spring and much hotter (+90°). 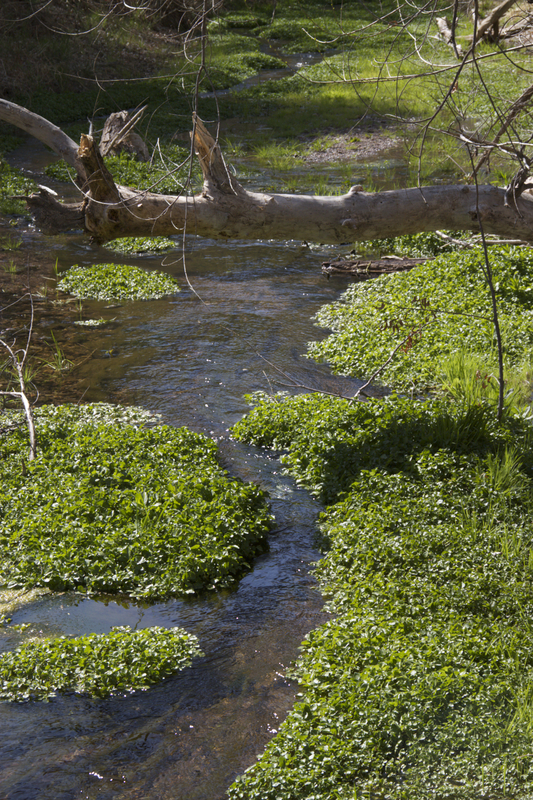 We’re grateful for the mottled shade of the creekside vegetation along the Arivaca Creek Trail. 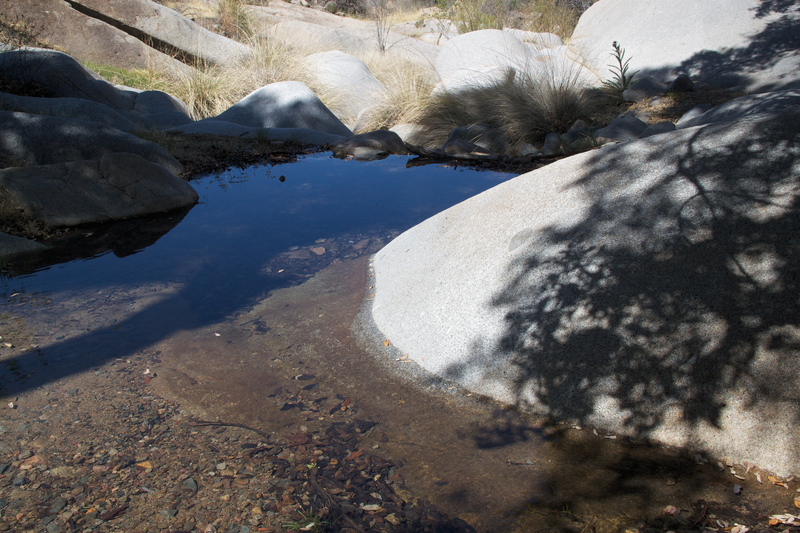 Although there are only a few intermittent waterholes the birds again abound. Following his lonely whistle, we manage to spot a Grey Hawk high in an old cottonwood. 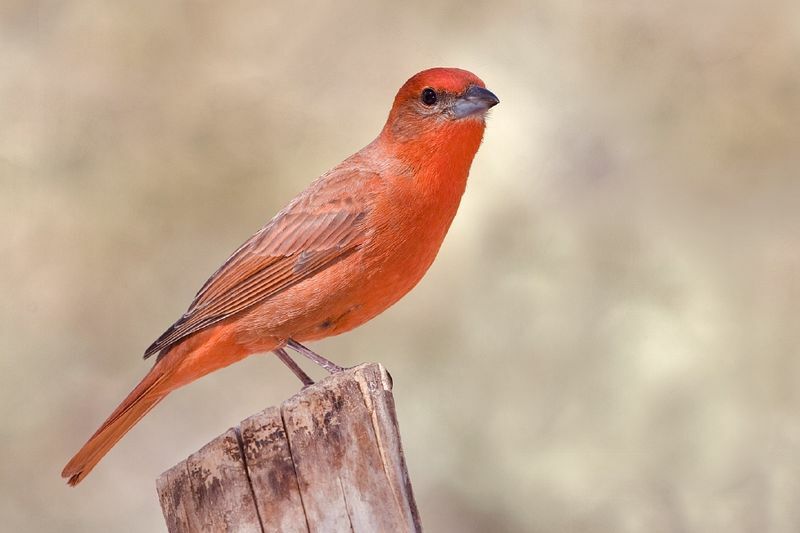 I see an summer tanager and, at the picnic table, a vermillion flycatcher watches us eat lunch.